Charming Lakefront Condo with Must See Views!! Pool Access! Property 55: Charming Lakefront Condo with Must See Views!! Pool Access! An Uptown Delight! Close to Downtown Hot Springs! Property 56: An Uptown Delight! Close to Downtown Hot Springs! Waltz Inn- Hidden Gem in Arkansas! Relax close to the 7 Lakes and 2 Rivers! Property 59: Waltz Inn- Hidden Gem in Arkansas! 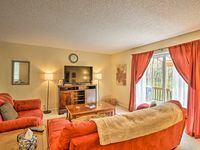 Relax close to the 7 Lakes and 2 Rivers! Property 60: A Unique Experience! Yurt Living In A Beautiful Woods Setting! Hot Springs Bungalow w/Amenities by Lake Coronado! Property 69: Hot Springs Bungalow w/Amenities by Lake Coronado! Unit #1 Cozy Rustic Style Duplex near Greers Ferry Lake. Property 72: Unit #1 Cozy Rustic Style Duplex near Greers Ferry Lake. Six-Person Hot Tub with a Lake View, King Beds, Fireplace, Jacuzzi! Property 81: Six-Person Hot Tub with a Lake View, King Beds, Fireplace, Jacuzzi! BEAUTIFUL INTERIORS IN THIS LAKE FRONT CONDO! Property 82: BEAUTIFUL INTERIORS IN THIS LAKE FRONT CONDO! Property 83: Music or River? This property is located between the town square and river. Property 88: CREEK SIDE VILLA LOCATED PERFECTLY BETWEEN HOT SPRINGS VILLAGE AND HOT SPRINGS! Property 92: " TRANQUILITY ".... The Name Says It All !!! Property 94: Darling little house, ideally located to the Bentonville Square & bike trails. Cozy Home just minutes from Lake Hamilton! Property 96: Cozy Home just minutes from Lake Hamilton! Property 99: Lake Front Retreat is being updated. Two new bathroom being installed in April. Enjoyed our stay in Hot Springs Village. Very clean and comfy wonderful price and beautiful neighborhood!